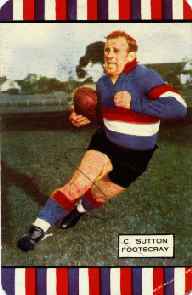 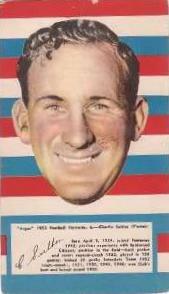 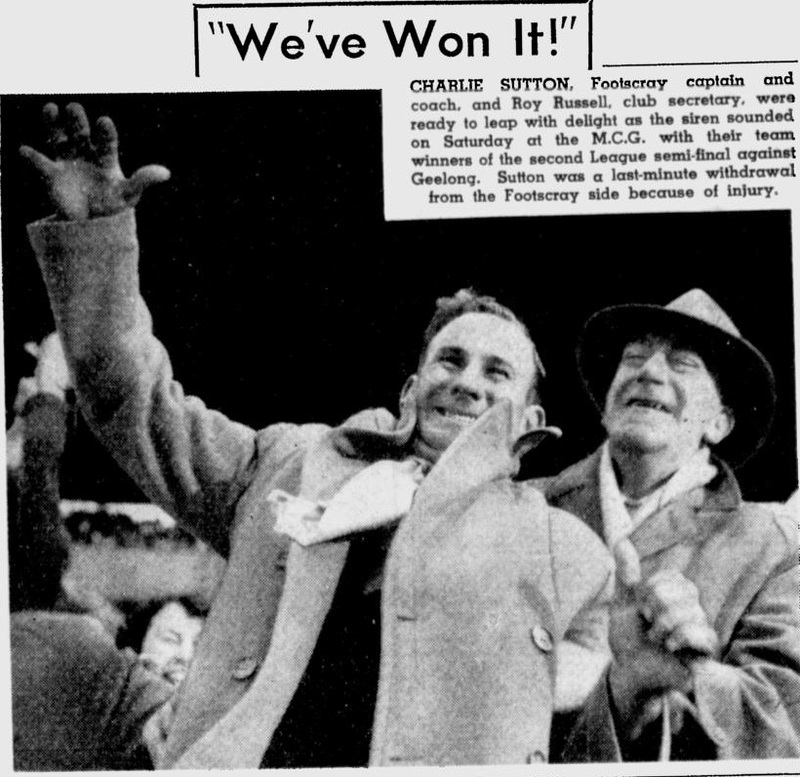 CHARLIE SUTTON has long been a stalwart in a back pocket for Footscray. 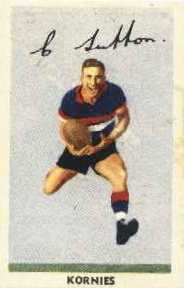 In recent matches, however, he has been thrown into the centre. 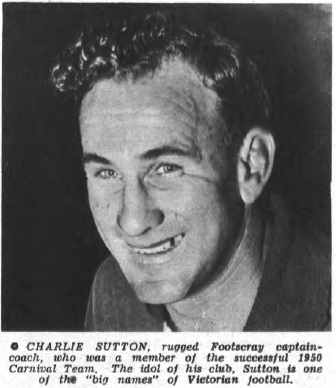 He is in the Victorian team for Brisbane, and has been chosen more as a back pocket than a centre man. 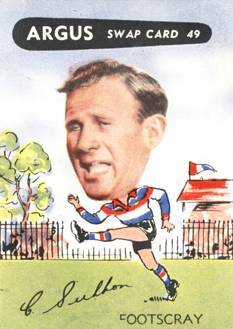 Charlie is a pocket Hercules - the strong, determined type, with excellent ball control and disposal. 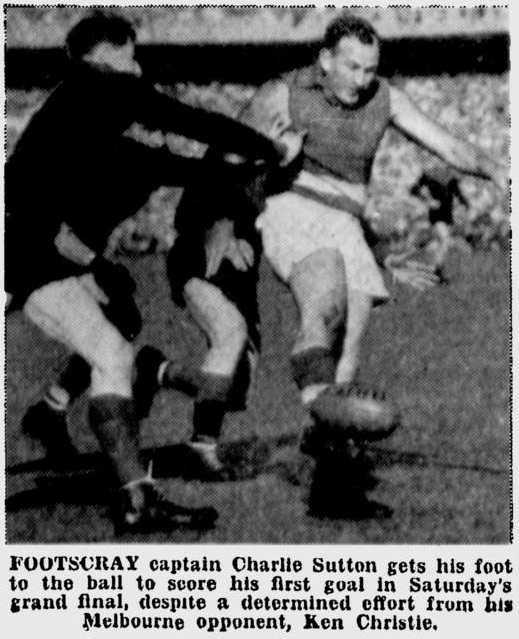 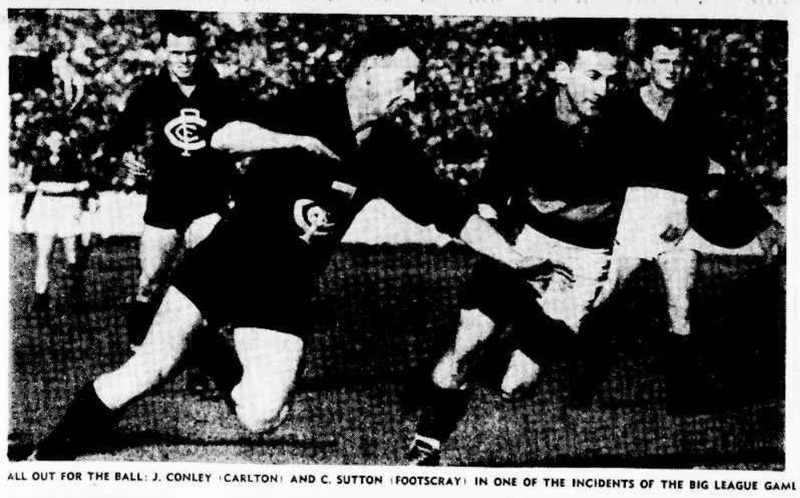 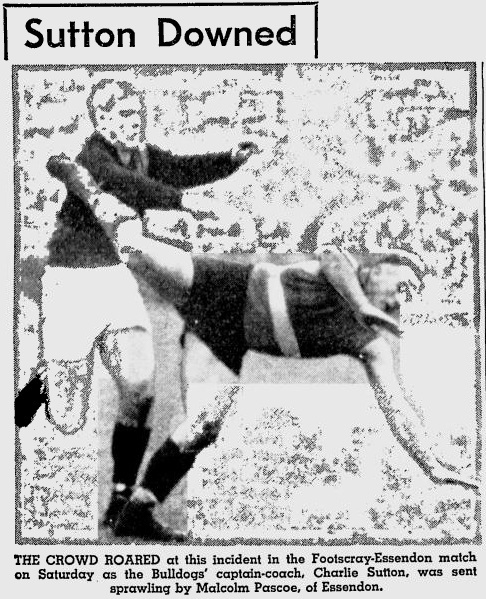 He came from Spotswood Citizens, and had his first senior game in 1942. 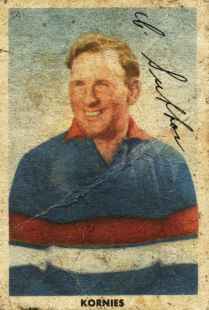 He is now well on towards his 100th game.